Don Kleinschnitz: Put a stake in the ground. My huddle was not going well. I’d called a meeting to debate a tricky architectural problem with other senior engineers, and consensus was scarcer than working markers for our whiteboard. We were going round and round in circles. Don Kleinschnitz walked in. It was our first interaction–he’d only been introduced to the company as our new CTO a few days before–and I wondered whether he’d help us get off the dime. Five minutes later, the meeting was over, and the controversy was settled. Don had “put a stake in the ground,” as he called it — picked a spot and made a tangible, semi-permanent choice to anchor our behavior. 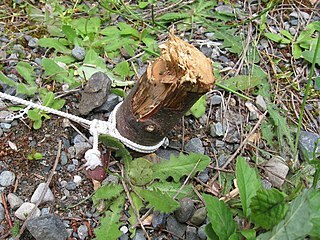 A stake in the ground. :-) Photo credit: Wikimedia Commons. I don’t remember the question or the answer, but I do remember some of Don’s solution. He immediately pushed us from generalities into specifics–what use case, exactly, would be affected by the decision? How much, exactly, would tradeoffs pay or cost in either direction? By putting a stake in the ground, Don wasn’t being arrogant or unwilling to listen. He was simply recognizing that we had incomplete input, that the right answer was maybe guessable but not clear-cut, and that we’d be better off making a tangible experiment instead of debating intuitions. Maybe our answer would be wrong; if so, we’d adjust later. The cost of altering our trajectory would not be so high that it would invalidate the benefit of immediate progress. I saw Don model this pattern again when he was general manager of a newly created business unit inside Symantec. We were planning the first release of a suite melded from independently acquired products; the sales force’s compensation and training were in flux; our outbound marketing strategy was unknown. I think product management gulped when Don asked them for a credible sales forecast, a granular competitive analysis, a rationalized pricing strategy, and a business case justifying the feature sets they proposed to map to line items in budgets. Who wouldn’t gulp? It was a tall order. But Don wouldn’t settle for finger-in-the-air answers. He dug out a set of spreadsheets from his MBA days and tweaked it. Hundreds of cells held our best-guess scores for the usefulness of features in our products and those of our competitors. Sheets captured assumptions. More sheets ran linear regressions to see if our price/performance fell in line with the industry. Don’s model enabled smart action in the face of tremendous uncertainty. Don is always tinkering with tools and processes that instill this habit in his troops. On another memorable occasion, we were wrestling with long, dry requirements documents. They were auto-generated from a requirements database, and they ran into the scores–maybe hundreds–of pages. Because they were so long, nobody liked to read them carefully. And because nobody liked to read them, they weren’t producing the interlock we needed to keep five development sites aligned in a healthy way. Don asked us to build a UI that manifested the existence of all features that would be exposed in our next release. It didn’t have to do anything–just display what sorts of things would be possible. At first I thought he was crazy. I told him it would take a long time. “Not as long as requirements docs,” he said. I built the UI. And I learned a ton. A picture–even a sloppy one–is easily worth a thousand words. Especially if it’s interactive. Product managers saw the UI. After a suitable re-education so they knew not to worry about ugliness or awkward workflow, they started saying really insightful things, like: “If we expose features A and C but not B, a user who wants to do A→B→C will be frustrated.” The concreteness of the UI was almost like magic. I could go on and on about how Don lives this principle, but you get the idea: pose hard questions, get the best answers you can… then force yourself to put a stake in the ground, experiment with specifics, and learn from it. Thanks for the lesson, Don. Consider a current (or past) design decision that’s been difficult to make. How could you make the decision easier by guessing about the likelihood of a use case, the preference of a user, or other aspects of context? If you got the answer wrong, how soon would you be likely to discover your mistake, and how expensive would it be to adjust your trajectory? Oh the memories! I think you correctly described Don’s ability to *enthusiastically* put a stake in the ground, but you are a little short in describing the amount of pain that caused, even after we were accustomed to this behavior. I agree that it did wonders for our ability to make decisions, but it also yanked us through multiple knotholes on the way. Looking back, I think they were necessary knotholes because we learned how to do multiple things. Your point about pain is well taken. Putting a stake in the ground sometimes hurts. It can be disruptive. You should do it when you calculate that it’s a net win–not thoughtlessly. Although this particular principle was an obvious part of Don’s style, I also saw him be thoughtful and deliberative on many occasions. That’s a better choice if the human stakes are high and the pay-off for quick momentum is not especially compelling. You guys were on a team that in my career of 30+ years exceeded the performance of any team that I worked on before or after. 75 revolutionary features in one release is what rings in my ears as a benchmark that has yet to be beaten. The more I learn about the craft of NPD the more I realize and we prove that at its foundation is learning and adaptability. Most legacy NPD systems are based on “planning-do-act” kind of thinking. This assumes that NPD is a deterministic environment. ITS NOT! The alternate is an adaptive system which operates on shortest possible start-work-failure-correct cycles …. like any adaptive control system would. Yes, change is always painfull, uncertainty is painful, but the eventual success and the excitement and fun of innovative engineering can make it worth it!